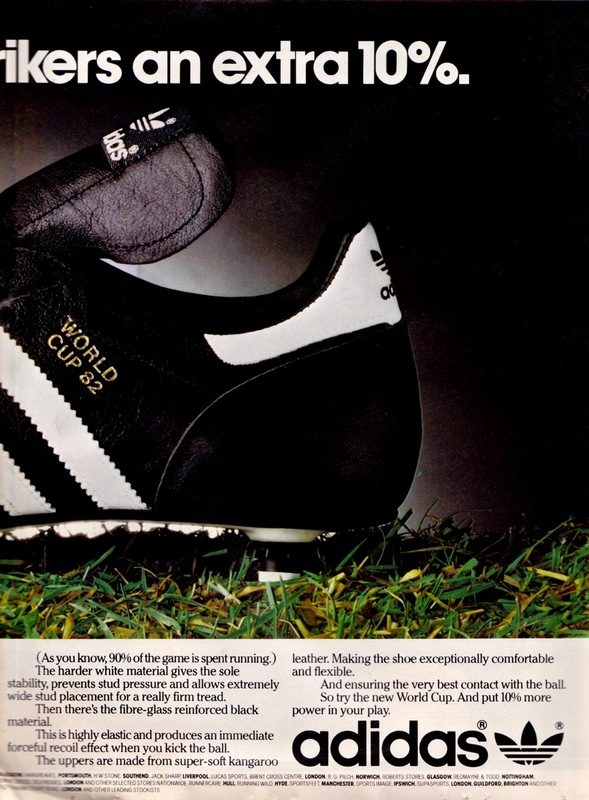 Our second look at Adidas football boot adverts through the years covers the period from 1972 through to 1983. 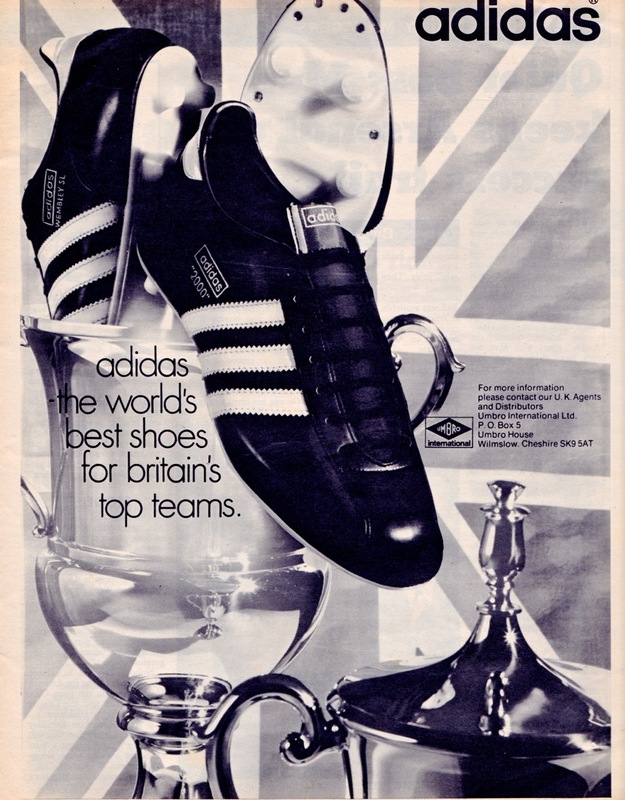 The Adidas organisation went from strength to strength during these years and being a West German company in a decade of great West German sporting achievement offered considerable opportunity. 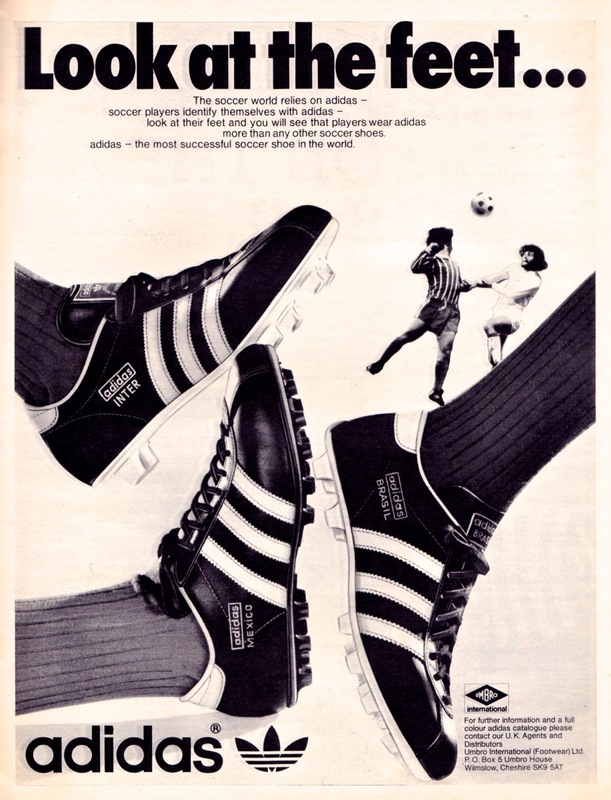 Major global icons like Franz Beckenbauer and Gerd Müller were signed up as key Adidas men with the marketing focus narrowing around individual personalities, rather than the broader team-based approach of the sixties. 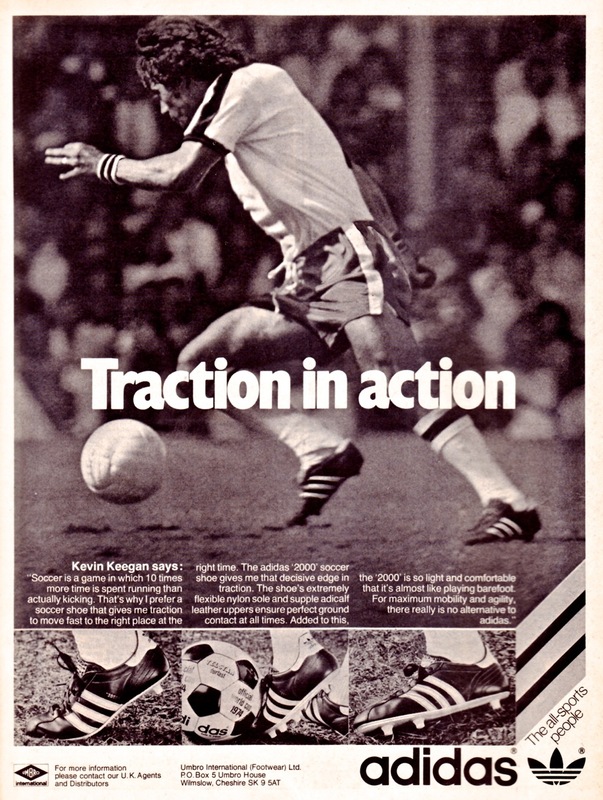 The use of company founder Adi Dassler on some of their late 70s ads did feel like something of a misstep: a septuagenarian businessman talking about improving sporting performance did not convince in the way it would had Kevin Keegan said the same words. 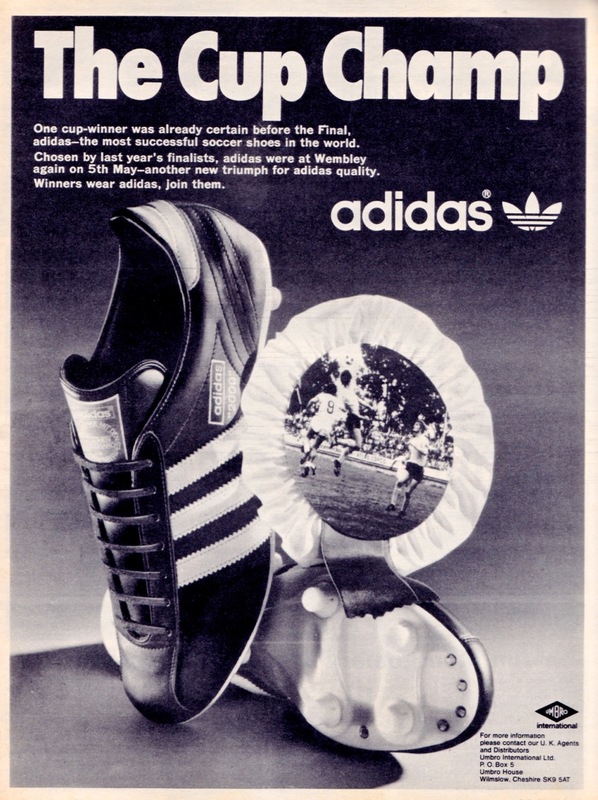 Adidas print ads remained simple in both cosmetic appearance and the message they sought to convey. 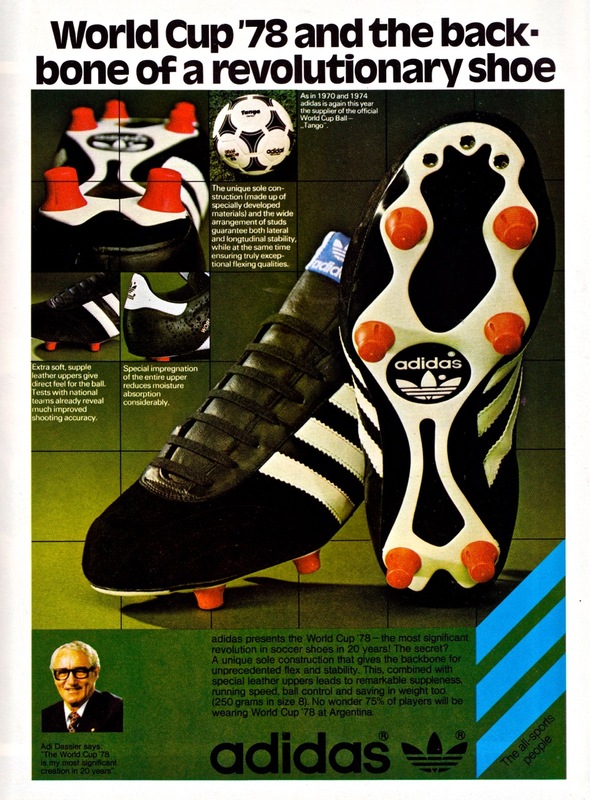 The only faintly exotic flourishes came with the names of the actual Adidas footwear itself. 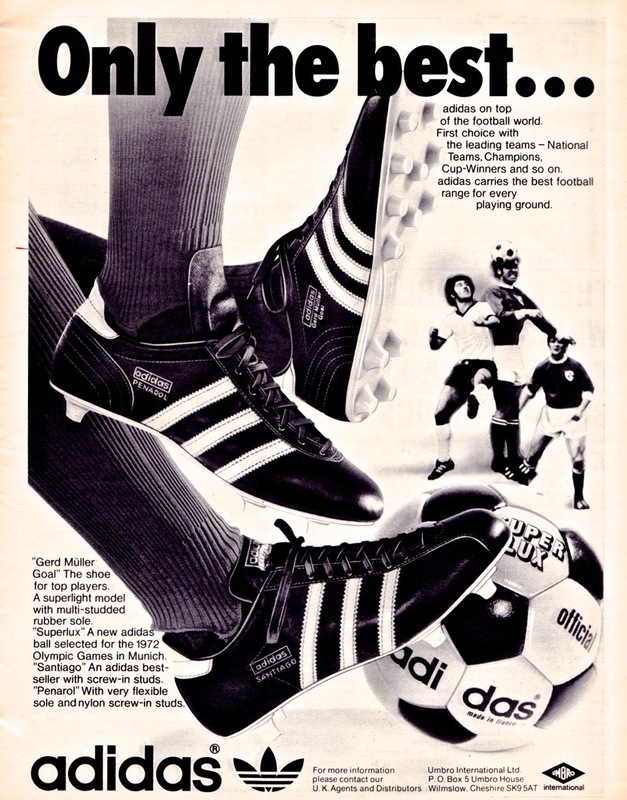 Boots named Mexico City, La Paz, Santiago, Laplata, Penarol or Inter hinted at an exotic Latin glamour quite at odds with the dry and somewhat stern northern European sensibilities the company represented. 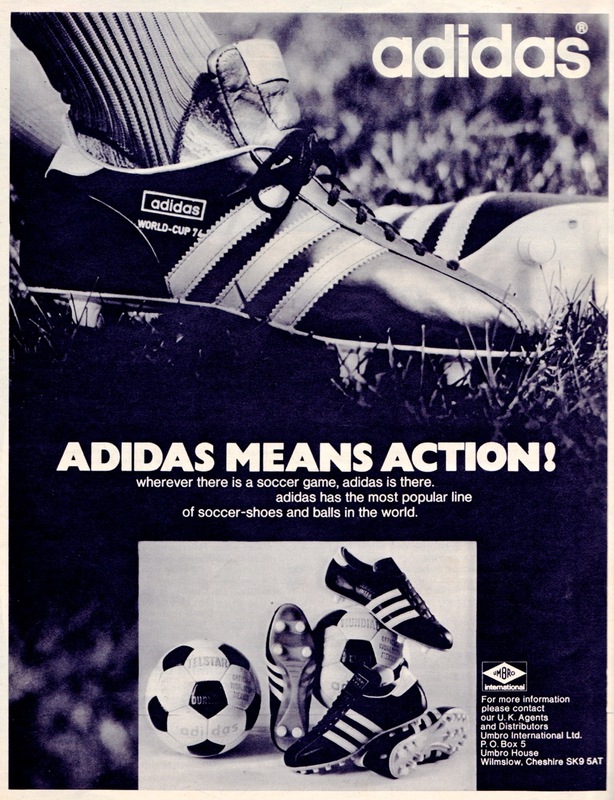 The most well-known and successful Adidas range was more soberly named after the game’s top international competition. 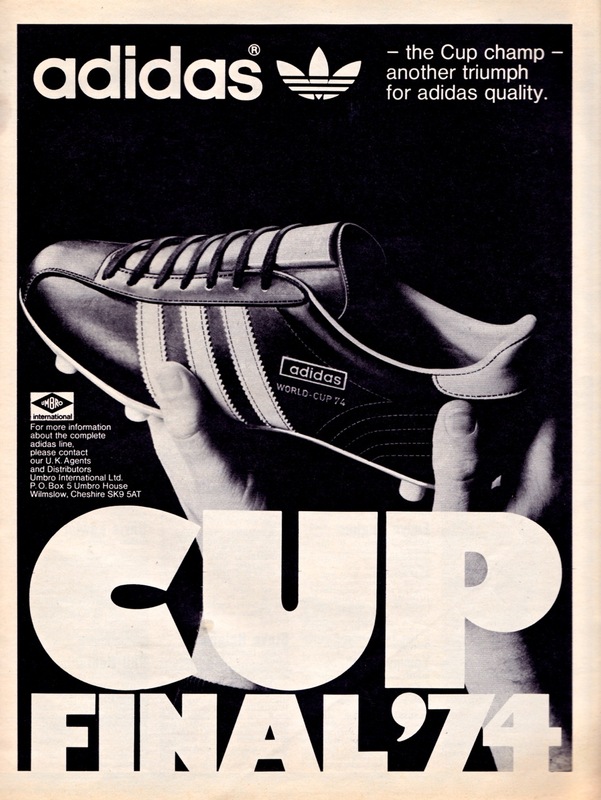 The Copa Mundial was a moulded boot used for matches on firm and dry pitches while the World Cup was its equivalent for softer ground. 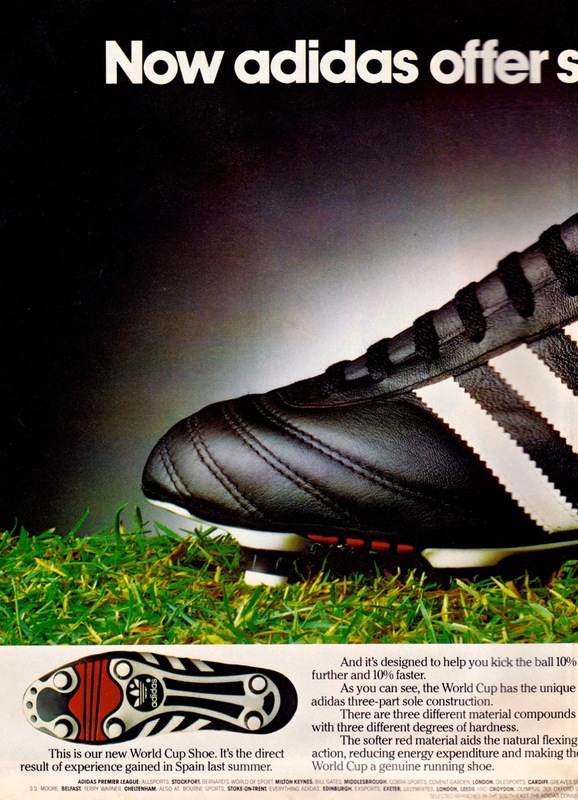 There isn’t a football boot in the world that will beat David Beckhams predators. The one with the white areas on the front. 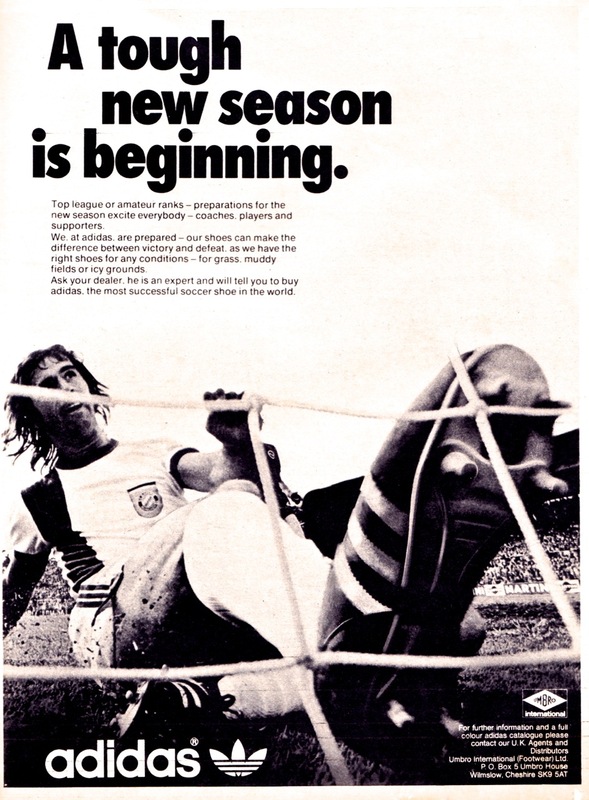 I had a pair for about 4 seasons, they needed repairing every t6 months but I couldn’t buy another pair.